With Easter in the rearview mirror and warmer weather on the horizon, it’s time to begin the dreaded — Spring Cleaning. I remember as I was growing up helping my grandmother thoroughly clean everything, including wiping down the walls. It was a time to open the windows and breathe in the smell of spring. 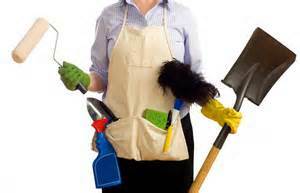 Although it requires a great deal of work, it is necessary and rewarding.Some people see this task as simply a deep cleaning. I take it a step farther and also go through closets and drawers, to not only clean, but also organize and eliminate the excess. These items will end up in either a sale or donated to the local Goodwill. I end up with a clean, decluttered house and someone else finds a “treasure”. Before you get the image of me cleaning, sorting and purging my home in a matter of minutes let me tell you how I approach this daunting task — one area at a time. I make a list of every room and closet and then look at my family calendar to see what can reasonably be accomplished each day. I have a plan in place without becoming overwhelmed and discouraged. My home is not the only thing that is in need of some “sprucing up”. My current manuscript or work in progress has sat primarily untouched since receiving feedback from agents last fall. You see, this novel is very close to my heart because it houses precious memories. However, comment after comment suggested cutting the first section, not just a few paragraphs, but rather a huge chunk of the entire first chapter because the pacing was too slow. After fighting the idea for months, I finally decided to at least try a different beginning. As I sat down to write, the words practically flew across the page, dancing in perfect time with one another. The end result was a chapter that I absolutely love, even more than the first attempt. However, if I hadn’t been willing to get rid of the original opening I never would have written it this way. We all have areas in our lives that could use some Spring Cleaning. What project are you going to attack? Please share your projects or even pictures in the comment section. I would love to pray for you as you begin the process. Let’s each decide today to clean out those closets and knock down the cobwebs in our lives and see what God has in store. I have been wanting to do this since 1st day of spring. I’m not motivated or feel like doing anything. I use to enjoy cleaning my home and decluttering not appears to be more of a bother. I will try to do my best little by little. The only thing I’ve accomplish was cleaning out my daughter’s closet but didn’t organized, I just cleaned out bc my friend was visiting and had clothes for her daughter.